Alice Glaser – The Future is Female! Alice Glaser in her Radcliffe yearbook, 1950. 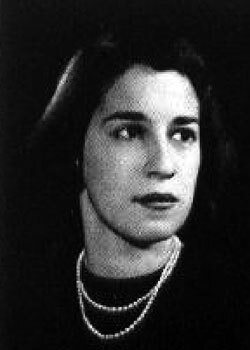 Alice Glaser (December 3, 1928–August 22, 1970) was born in New York City and raised on Long Island, by her father, a Russian-born lawyer, and her mother, a homemaker from Pittsburgh. At Woodmere High School, from which she graduated in 1946, she worked on the student Bulletin and won praise for her poetry; at Radcliffe, she wrote a senior thesis on Joseph Conrad. 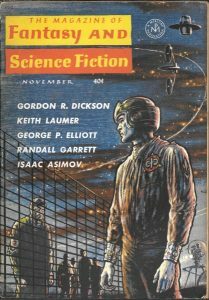 Afterwards she moved to Paris, working at various U.S. government agencies, marrying and divorcing Jean-Paul Surmain, and finding friends in the expatriate science fiction community. Returning to New York in 1958, she began a career at Esquire magazine, rising to assistant and then associate editor during the 1960s. 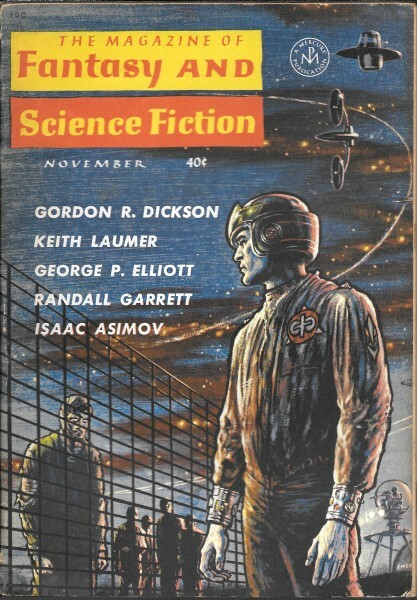 At Esquire, Glaser solicited articles and stories (some from science fiction writers, including Fritz Leiber) and contributed articles of her own; her best known, an account of a week spent in India with Allen Ginsberg, appeared in 1963 as “Back on the Open Road for Boys.” “The Tunnel Ahead,” published in The Magazine of Fantasy and Science Fiction in 1961, is her only known work of speculative fiction. “The Tunnel Ahead” is one of the most frequently anthologized of modern science fiction stories, and in 2016 Norwegian filmmaker Andre Ovredal (director of the critically-acclaimed Trollhunter, 2010) released a short film adaptation of it which went on to win the prize for Best Overall Short Film at the Calgary International Film Festival. Glaser also reviewed books for the Chicago Tribune and is said to have written a roman à clef about life at Esquire. She died after a fall, reportedly by suicide, at forty-one.